Entry Level. 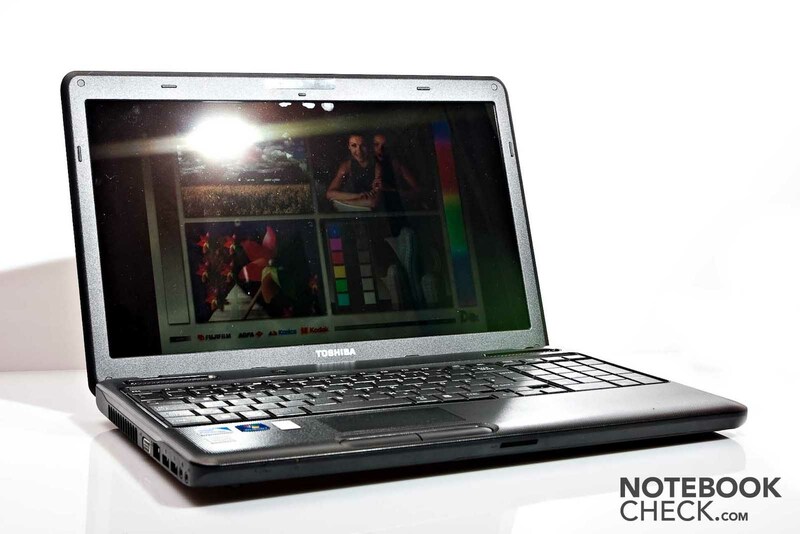 Toshiba offers a range of entry level notebooks with the C660 series. New customers are to be wooed with a wide functionality, and above all with a low price. We've taken a closer look at the Satellite C660-10E and put it through its paces. 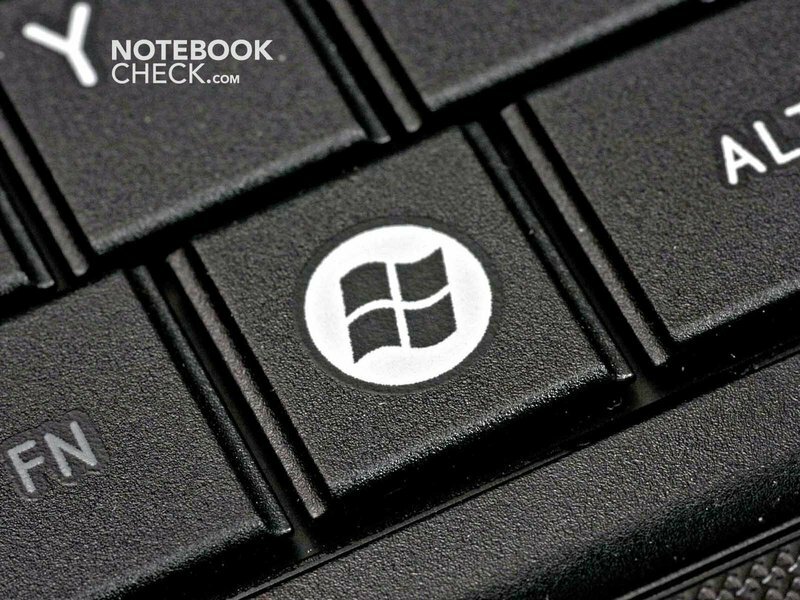 What can you expect from an entry level notebook for 550 euros? In particular, since not an Intel Core ix processor, but "only" an Intel Pentium P6100 processor has been installed? 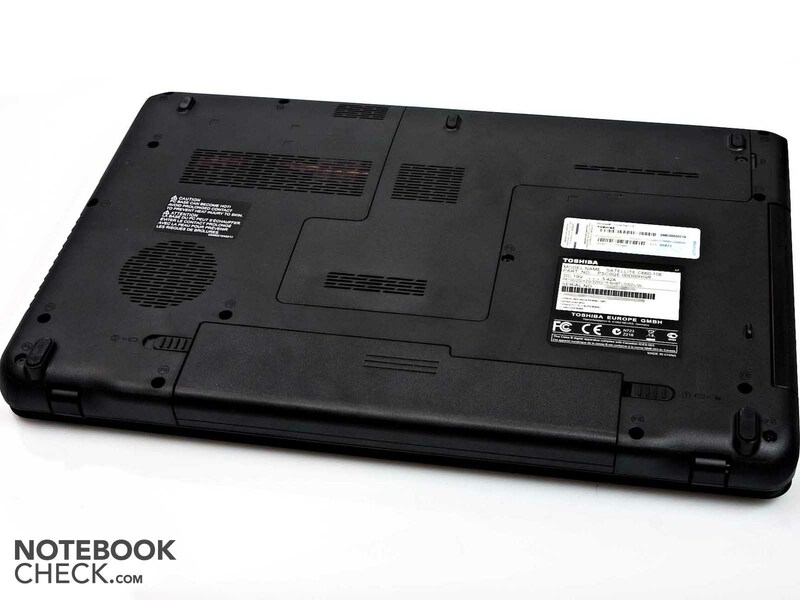 Can the C660-10E meet the expectations put on an inexpensive entry level notebook? Or will it turn out to be a con artist? We've taken the test. Toshiba exclusively uses plastic for the case. Anything else likely wouldn't have fit into the 550 euro price limit. The applied plastic is well manufactured and makes a solid impression. Nevertheless, we have seen plastic notebooks that made a more superior impression. We noticed a clattering sound when we picked the notebook up for the first time. The battery appears to have too much leeway in its compartment. This likely allows the battery to clatter in its slot when the notebook is moved. The notebook's design can very well be described as successful. You're usually on the safe side with black, plain notebooks. Toshiba has also selected such a design for its Satellite C66-10E. A knobby surface is used on the lid, which is particularly resistant against fingerprints, according to Toshiba. This isn't quite true. Although the knobbed surface is much less susceptible for fingerprints than a smooth surface would be, it's not completely resistant. Fade fingerprints were visible within a short time. In addition, they are much harder to remove than it would be the case on a smooth surface. 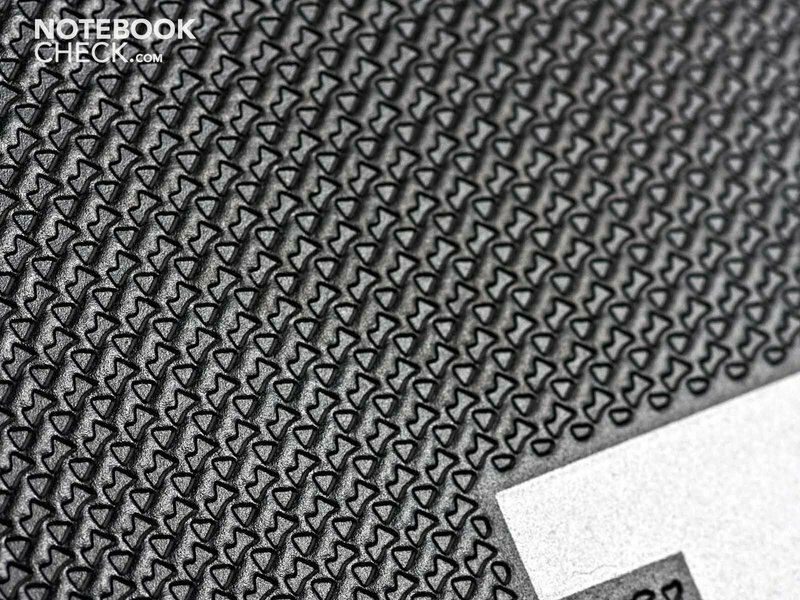 This surface structure is also applied inside, so for the wrist-rest and the surface around the keyboard. The Satellite C660-10E doesn't score especially well in our pressure tests. You already notice how the display lid clearly yields under pressure in a closed state. This is due to the gap between the display and wrist-rest, which easily measures 3 – 4 millimeters. Moreover, this large space could get problematic because foreign objects can penetrate the gap between the display and keyboard. The lid doesn't have much torsional stiffness in an opened state either. In opposition to that, the notebook's base unit looks good under selective pressure. Pressures on the wrist-rest hardly lead to any yielding, not even over the drive. You notice that Toshiba didn't want to surpass a certain price limit in connectivity once more. The number of single interfaces sooner has to be described as meager. 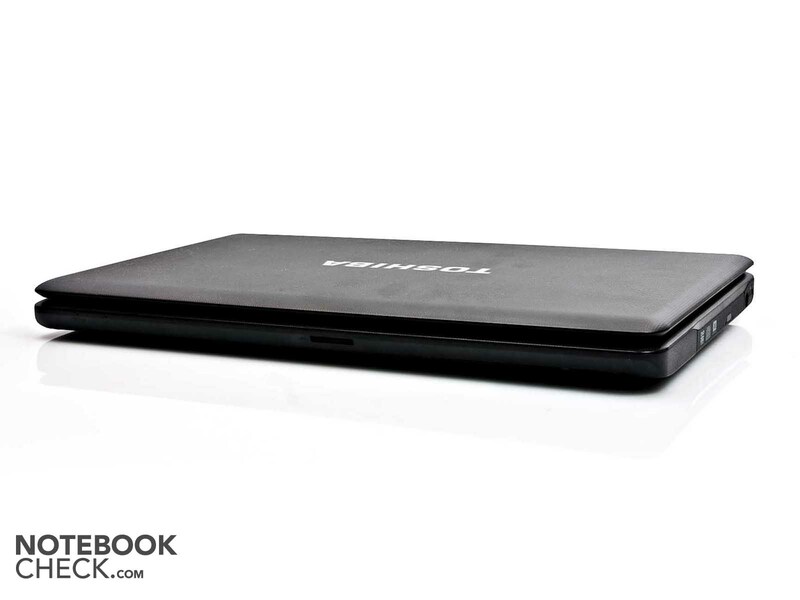 Accordingly, the Satellite C660-10E only has two USB ports, which is netbook standard. The VGA out, the RJ45 network socket, both USB 2.0 ports and both audio jacks for microphone and headphone are found on the left. 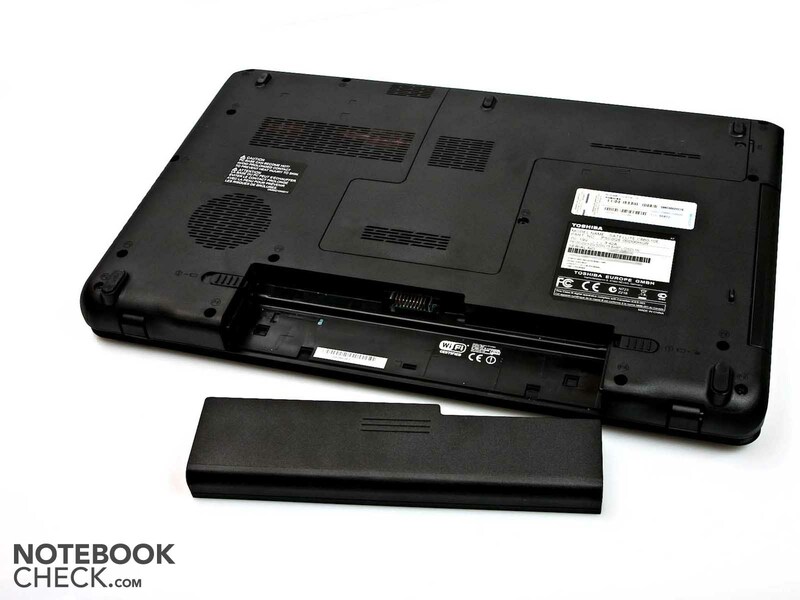 The notebook's right accommodates the optical drive, the power socket and the Kensington lock. Aside from the aforementioned interfaces, there is also a cardreader on the front. It supports SD, miniSD, microSD, SDHC and SDXC formats. There aren't any connections on the rear because of the battery housing design. It can quickly get full on the left during stationary use because all interfaces have been placed here. Additionally, both USB ports sit so tight that a larger USB stick could cover the second port. The Satellite C660-10E has LAN and WLAN for connecting to the outside world. Bluetooth didn't make it into the notebook. WLAN transmission is based on the 802.11 b/g/n standard and thus complies with the current average of this category. The wired network isn't any longer up to date with 10BASE-T/100BASE-TX. Aside from the notebook and the adapter, there is a small leaflet in the box. There are no other supplies. 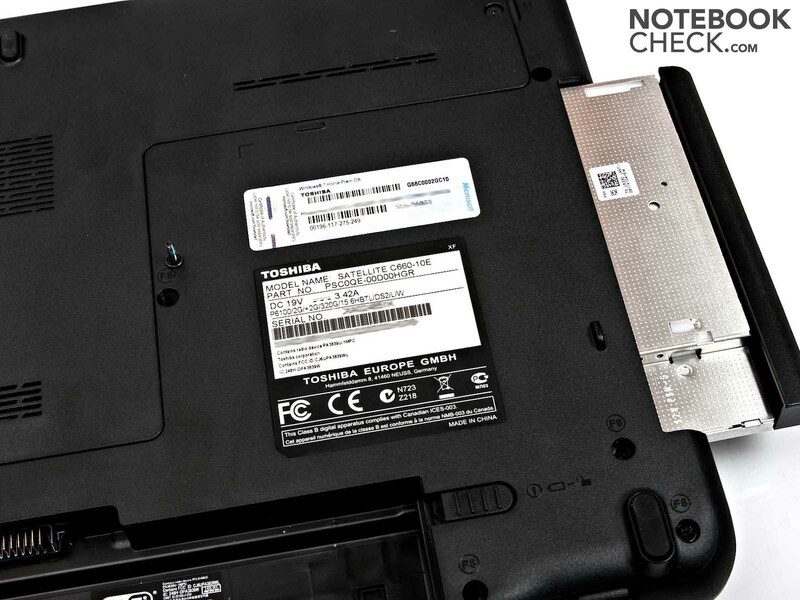 The Toshiba C660-10E has a two year warranty service which includes a collect service subsequent to registering the repair on Toshiba's hotline in Germany and Austria. Toshiba has apparently invested the money it has saved from other parts into the C660-10E's keyboard. The keys have a pleasant size of 19x19 millimeters. Nevertheless, there is even still room for a number pad on the right. Working on the keyboard is pleasant. The pressure point is crisp and the keystroke isn't too long. The only reason for complaint is that the keyboard sounds a bit clattery while typing. Otherwise, the keyboard is impressive. There aren't any hot keys available. Functions, like volume, display brightness, switching among monitors or enabling/disabling WLAN are triggered via FN functions. The touchpad seems to be lavishly sized with 93 millimeters. However, it is a bit narrow with 42 millimeters. It can nevertheless be used well with adequate sensitivity. The touchpad includes multi-touch aside from a vertical and horizontal scroll bar. Consequently, you can scroll, rotate pictures or zoom with two fingers. Both mouse keys below the touchpad sound very clattery when used. Moreover, they make a cheap impression. The trigger noise is additionally very loud. The Satellite C660 is unfortunately disappointing in this regard. A 15.6 inch model is used for the Toshiba Satellite C660-10E's display. The LED backlight provides quite an evenly illuminated image. The 93 percent that we determined confirms this. The resolution of 1366x768 pixels complies with display standards of this size. The display's screen is reflective, which complicates outdoor use. The average brightness of 183.1 cd/m2 is good. The black value of 0.98 cd/m2 could however be a bit lower. As a result, a poor contrast of 191:1 is given. 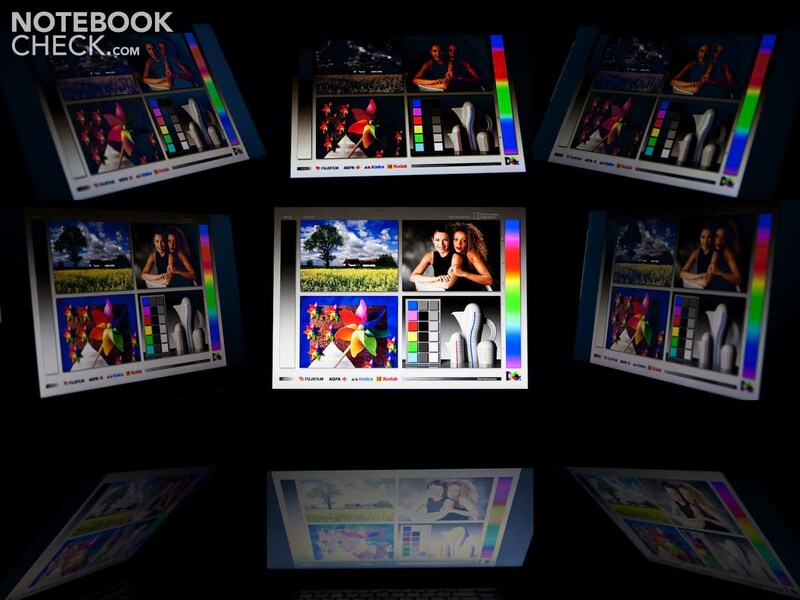 The Toshiba C660-10E doesn't perform miracles in terms of color reproduction, and lags behind our reference displays. The sRGB color spectrum isn't completely covered, either. Regrettably, it's almost impossible to test the display out in the sun due to current weather conditions. Therefore, we tried to simulate sunlight with another light source. You can clearly recognize that it's only possible to see the displayed content with restrictions on our test picture. The displayed contents are only legible up to a horizontal viewing angle of 135 degrees and a vertical viewing angle of 90 degrees. However, the reflections on the display annoy much sooner. 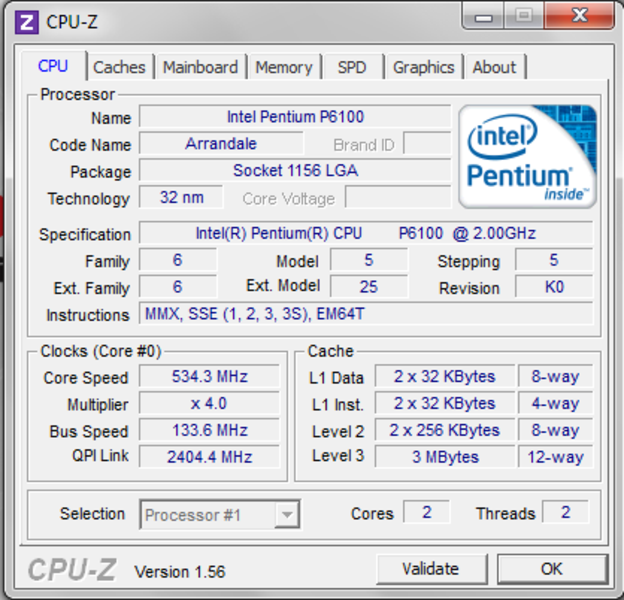 The Intel Pentium P6100 processor is one of Intel's entry level processors. This dual core processor, alike the Core i3, i5 and i7 dual core processors, is based on the Arrandale core. 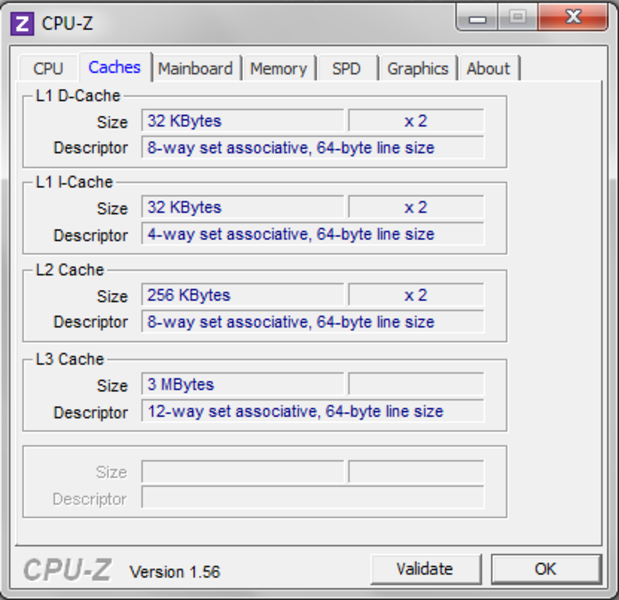 Thus the processor has a dedicated memory controller and graphics core. In opposition to the Core ix models, the P6100 doesn't have the Turbo Boost function, so it can't automatically overclock. 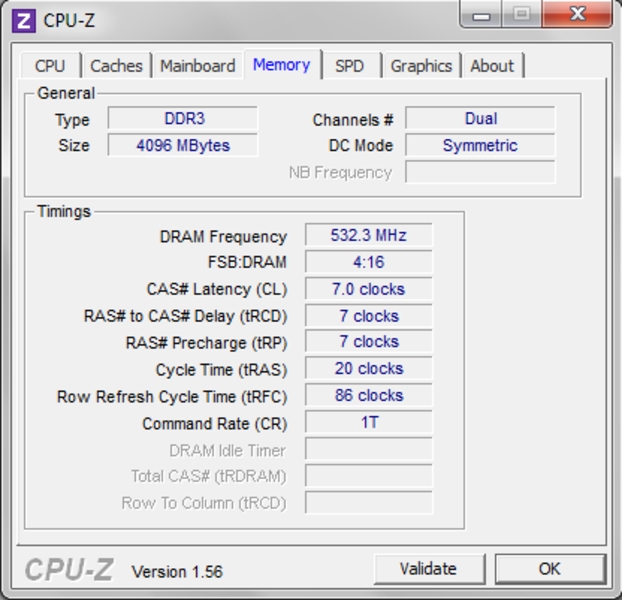 The P6100 has a TDP (thermal design power) of 35 watts, despite a clock rate of only 2.0 GHz. The processor is however apt for simple applications and routine office tasks. 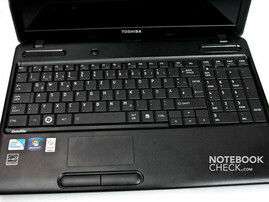 In any case, it must be considered that the Toshiba C660-10E is an entry level notebook and not a high-end workstation. The graphics built into the processor is also only designed for basic tasks, and not to render complicated 3D games smoothly. 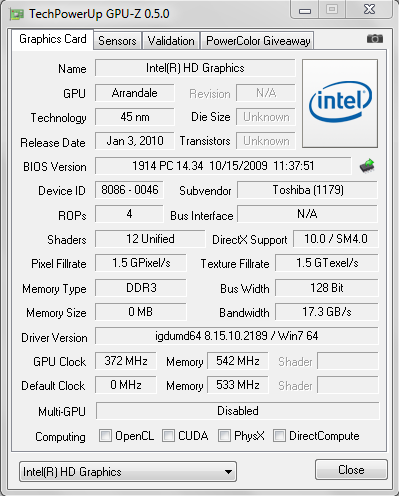 The incorporated Intel HD graphics can however score with low power consumption. This entry level graphics is sufficient for watching movies smoothly on the internet as well as for playing older games. It's not apt for demanding tasks, though. 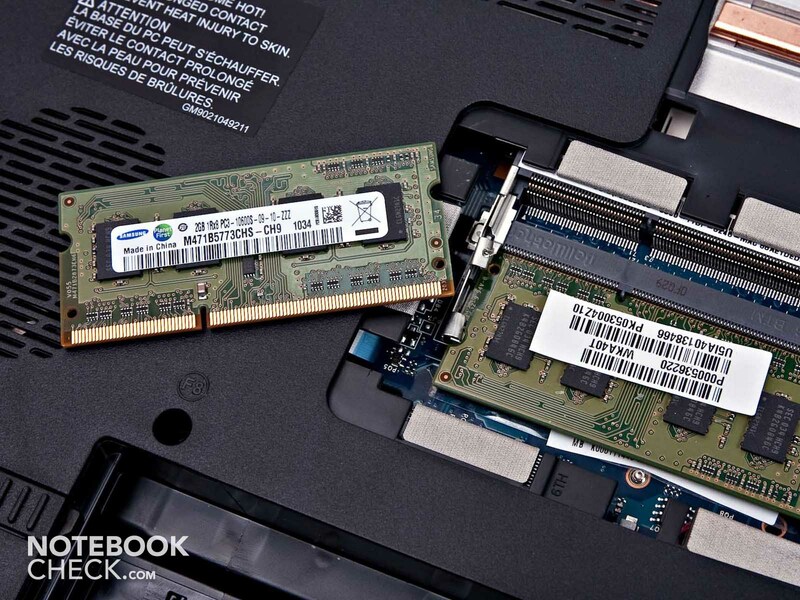 A is a 4 GB DDR3 RAM which can be increased to a total of 8 GB also belongs to the notebook's hard ware array. The hard disk is a 320 GB (gross capacity) model also from Toshiba. It complies with standard notebook hard disks with 5400 revolutions per minute. There is a cover on the bottom that is fixed with a screw for upgrading the notebook. When it's removed, the RAM and hard disk can be accessed. The optical drive is also fixed with a single screw and can easily be exchanged. 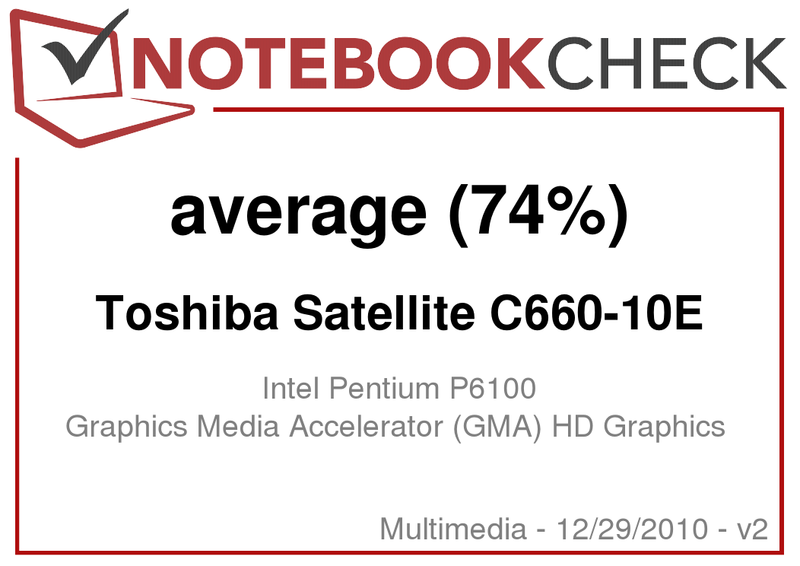 The Toshiba C660 achieves 3409 points in PCMark Vantage. This is a comparatively low score. 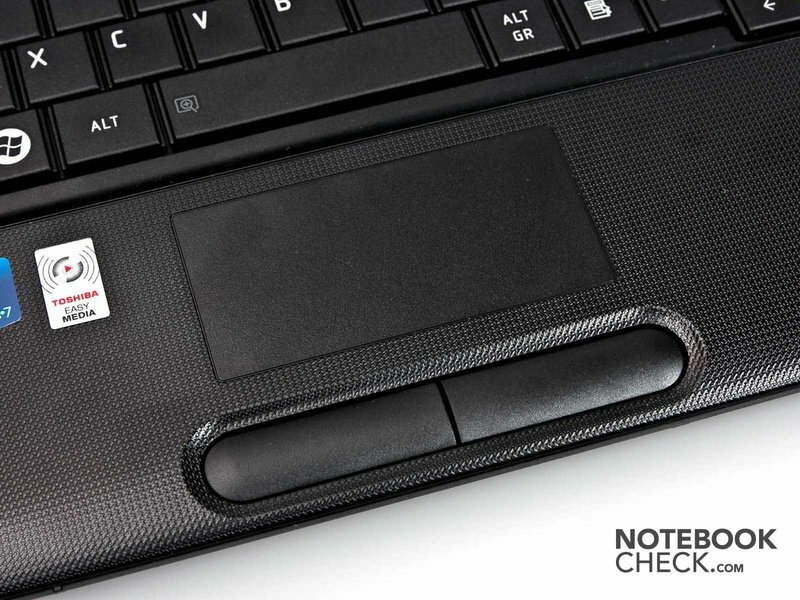 Strong office notebooks can reach twice as much with the according CPU. In combination with an SSD (solid state drive) even 8000 point or more are possible. These devices (T510, T410, HP 8540p, etc) cost much more than 1000 euros, though. For example, the HP 625 is in the Toshiba C660's range. It's equipped with an AMD P320 CPU and HD 4250 graphics (3388 points). 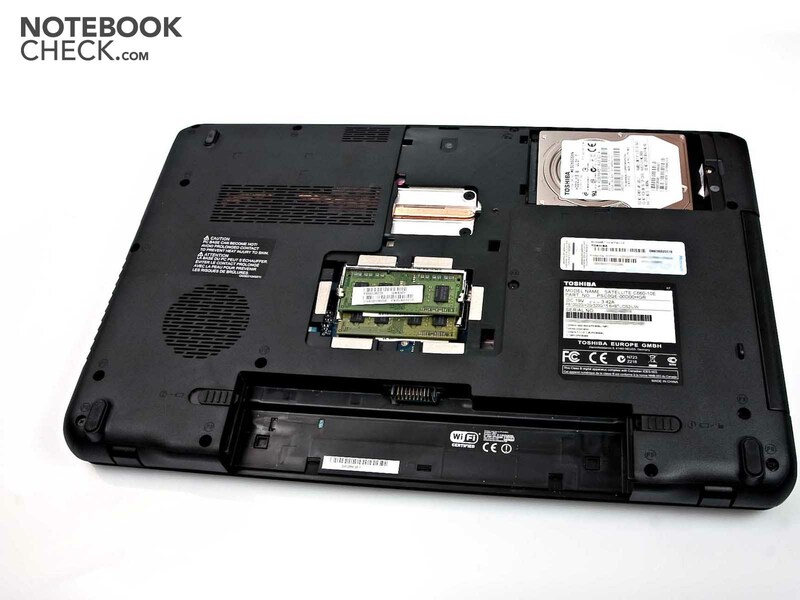 The equally affordable HP CQ62, with identical hardware, can even achieve higher 3567 points. The notebook also has to accept moderation in the graphics benchmarks. The incorporated Intel HD is simply not made for complex graphic calculations. 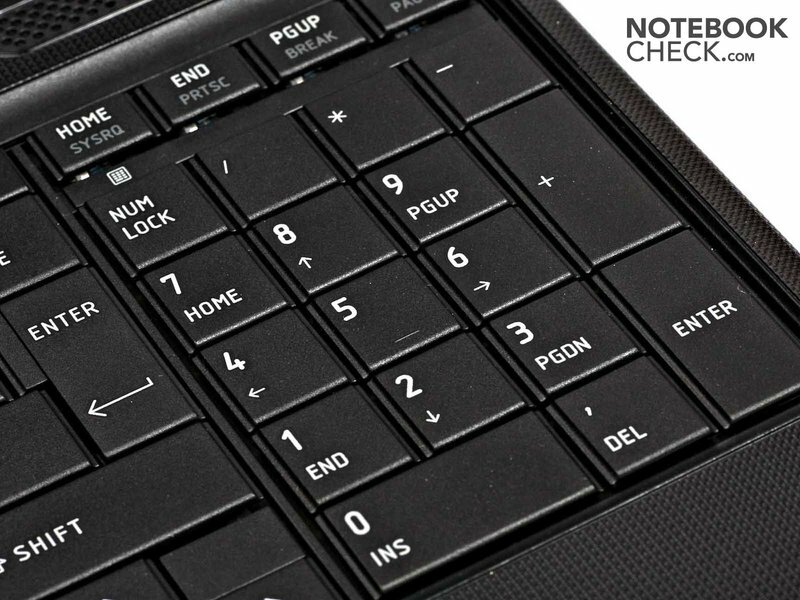 The notebook achieves scores slightly above that of an Asus Eee PC 1015PN netbook with an Intel Atom N550 processor and ION2 graphics. 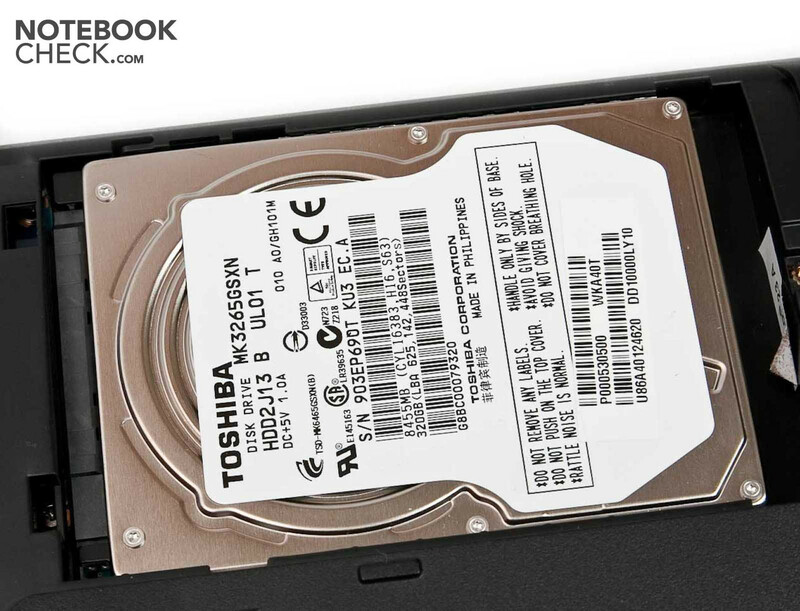 The installed Toshiba MK3265GSX hard disk is a 2.5 inch hard disk with a gross capacity of 320 GB. It's not exceptionally fast with 5400 revolutions per minute. This is also confirmed by the determined access speed of 17.4 milliseconds. While the minimum and maximum transfer rate is averagely on par with current hard disks, the average transfer rate of 67.1 MB/s could be a bit higher. 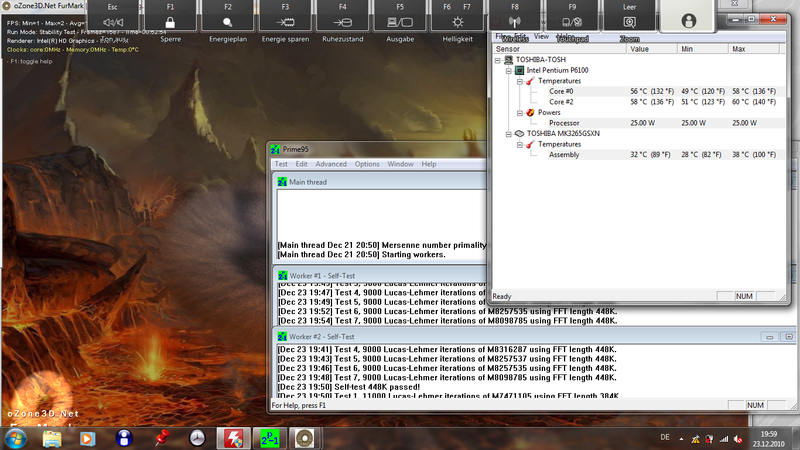 You shouldn't expect any miracles from the combination of Intel Pentium P6100 and Intel GMA HD in terms of gaming. We exemplarily tested the real time strategy game, StarCraft 2, on the Satellite C660-10E. The notebook still supplied a fairly smooth game play in lowest settings. However, it's very close to the limits of playability with 26 frames per second. If you'd like to experience more than the absolute minimum of StarCraft 2, you'll be at a disadvantage with the Satellite C660-10E. The frame rate nosedives to 5 frames per second already in medium settings. Since these rates are within the expected range, we would refer to our “Computer games on laptop graphic cards”. The rates of other games can be seen here. 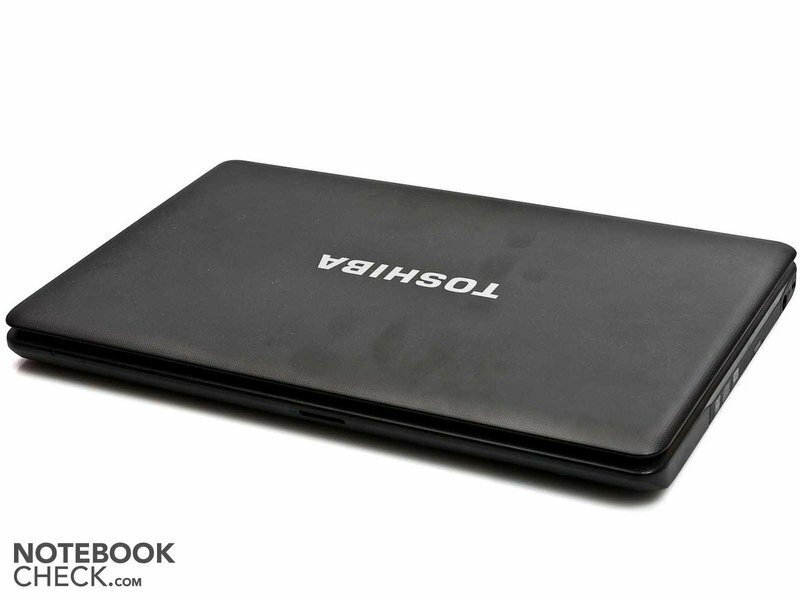 Besides, it should quickly become obvious that the Satellite C660-10E is not a gaming notebook. 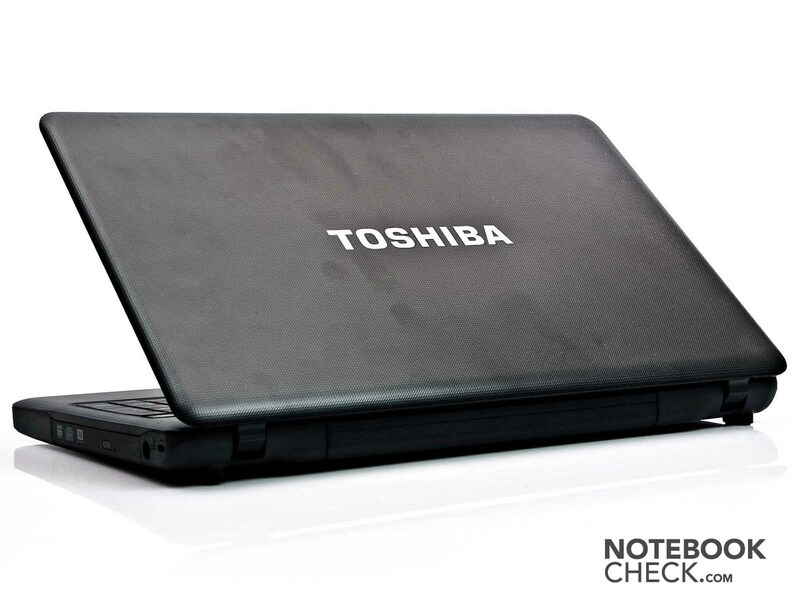 The Toshiba Satellite C660-10E is pleasantly quiet in idle mode. 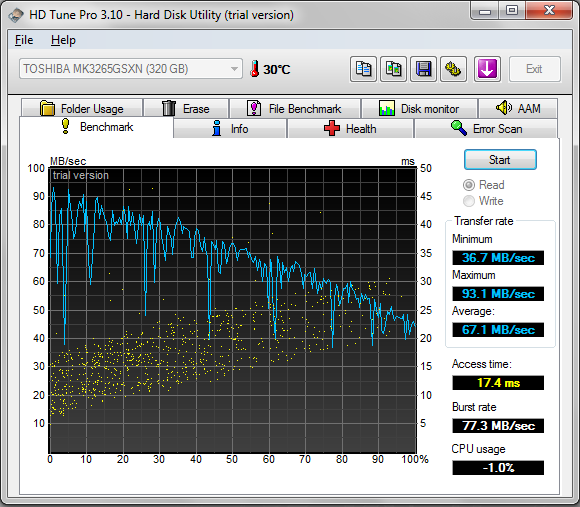 It basically remains unobtrusive with an average of 29.9 dB(A), and only a quiet whirring is heard from the hard disk. You can clearly hear how the fan starts to rotate faster under load. However, the notebook doesn't get overly loud with 35.2 dB(A). This rate can also be called acceptable when you are in a quiet surrounding. We noticed that the drive occasionally turned up during the DVD test and got considerably louder. This only happened erratically, but movie enjoyment was in effect impaired. The Satellite C660-10E always stays cool in terms of temperatures. We could even only measure a maximum temperature of 37.6 degrees Celsius under full load. The user doesn't have to worry about the temperatures on the notebook's inside, either. Although the hottest area is found in the wrist-rest's center with 31.1 degrees Celsius, the temperature isn't alarming. Because the temperatures aren't particularly high under load, you don't have to worry about the idle temperatures. The Satellite C660-10E did quite well in our stress test. 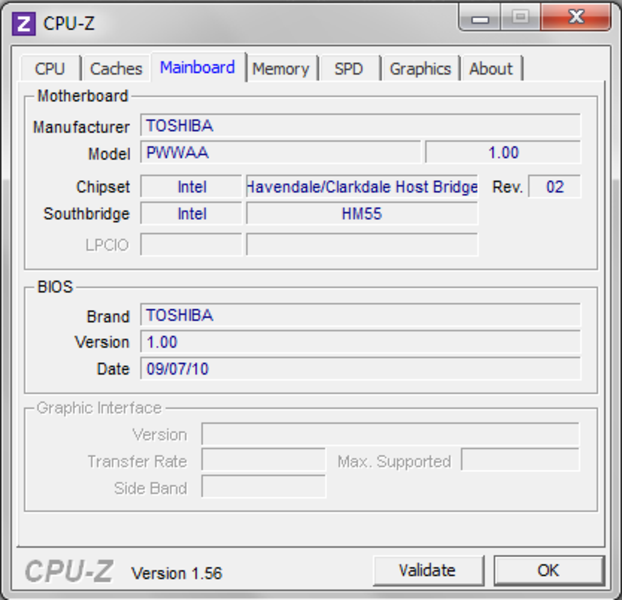 The processor is far from reaching critical temperatures with a maximum of 60 degrees Celsius. Nor could a possible performance breakdown be determined in the subsequent benchmark. (+) The average temperature for the upper side under maximal load is 26.9 °C / 80 F, compared to the average of 30.9 °C / 88 F for the devices in the class Multimedia. (+) The maximum temperature on the upper side is 31.1 °C / 88 F, compared to the average of 36.5 °C / 98 F, ranging from 21.1 to 71 °C for the class Multimedia. The loudspeakers in the Satellite C660-10E are at most suitable for occasional music enjoyment. While most notebooks suffer under the lack of basses, the Satellite C660-10E also has to put up with a quite muffled sound. 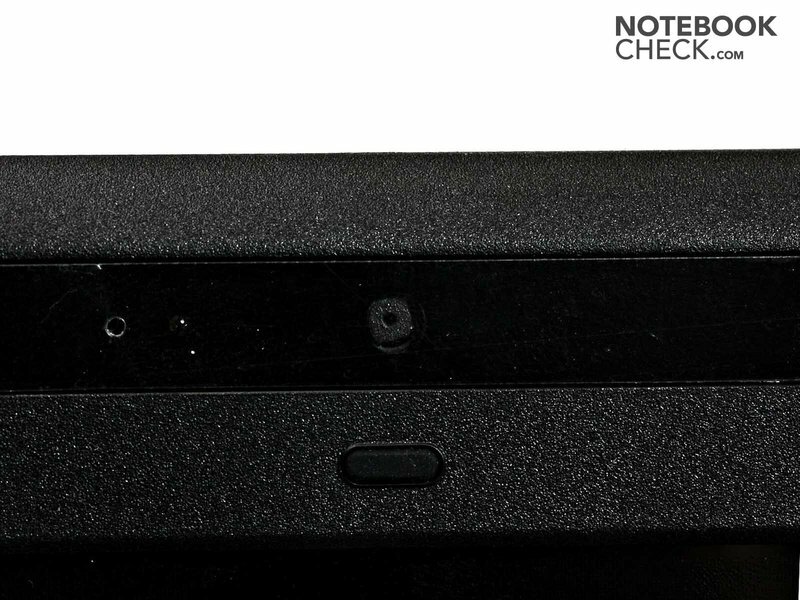 The speakers' emitted sound doesn't appear as clear as in other notebooks. Although the maximum volume is quite high, it doesn't sound worth listening to in connection with the muffled sound. If you generally stay in idle or only execute very undemanding tasks on the notebook, you can be pleased about a battery life of 3 hours and 25 minutes. 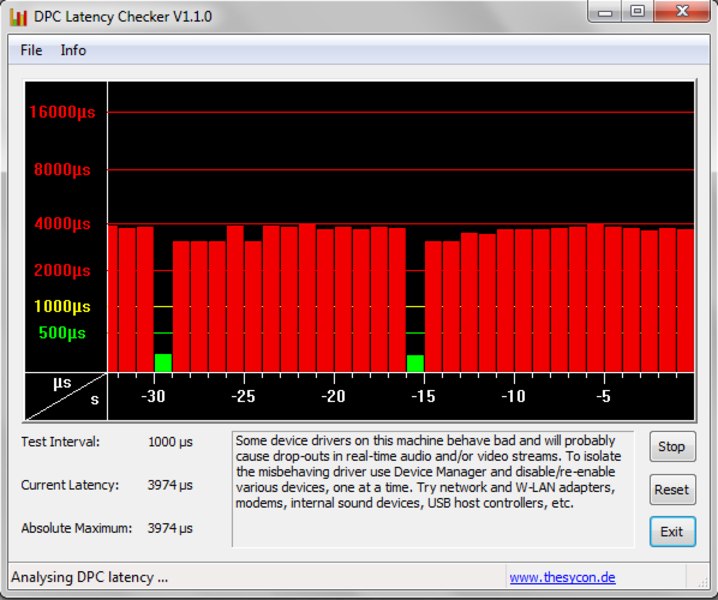 2 hours and 22 minutes are left when the user mainly surfs on the internet via WLAN. We visited various web sites and also played YouTube videos on the notebook in our test. If you execute slightly more computing intensive programs on the notebook, you can still get almost 2 hours of battery runtime. 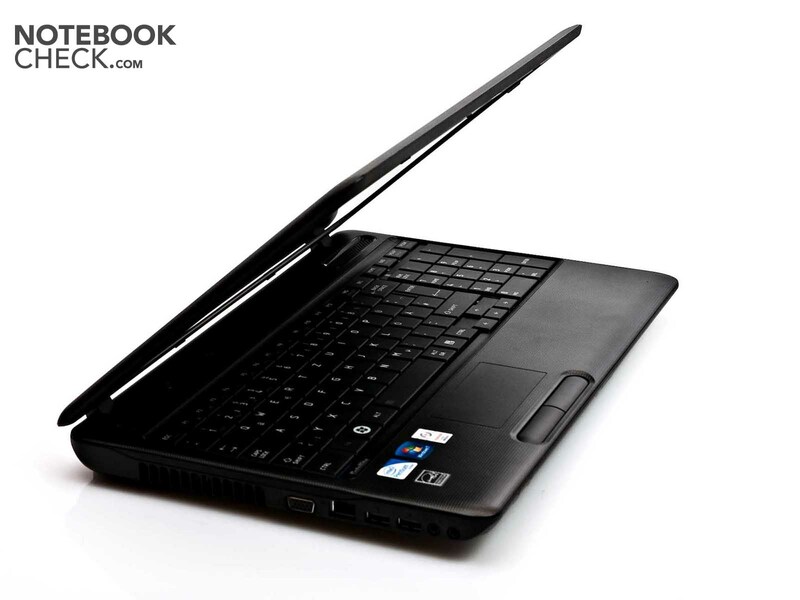 When the notebook is idle, the system's power consumption sinks to 9.7 watts and to 16.7 watts during low activity. The consumption increases to a still fairly modest 42.7 watts under load. 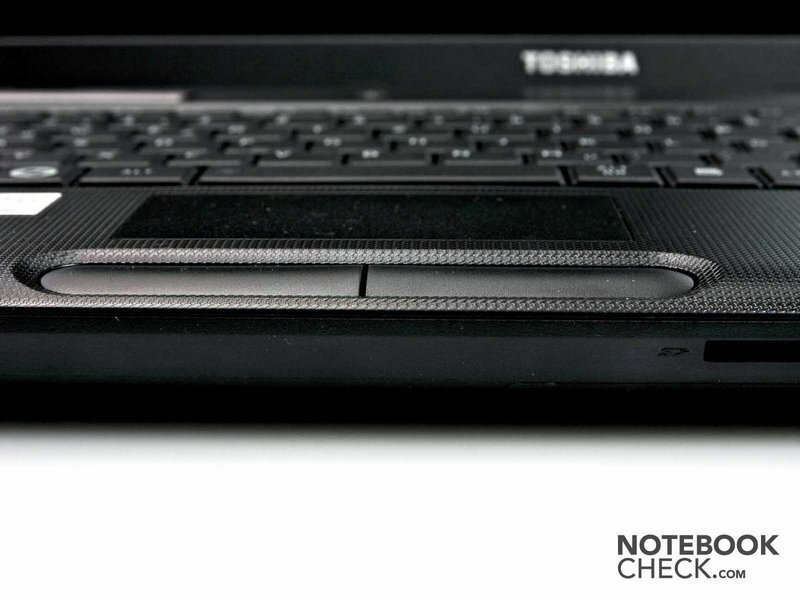 Actually, the Toshiba Satellite C660-10E meets exactly the expectations that can be placed on an entry-level notebook. It bids users an affordable start into the world of mobile computer systems. But nothing more. You can hardly speak of an interface diversity since only the most essential has been installed. Toshiba has also made cutbacks in performance. The hardware isn't apt for much more than basic office applications and simple games every now and again. Nevertheless, the notebook could stand out in a few concerns. Although the case is completely made of plastic, it is by and large solid anyway. However, we couldn't quite get used to the surface texture. Even the keyboard is impressive. It surprises with a much better typing feel than would have been expected at first. 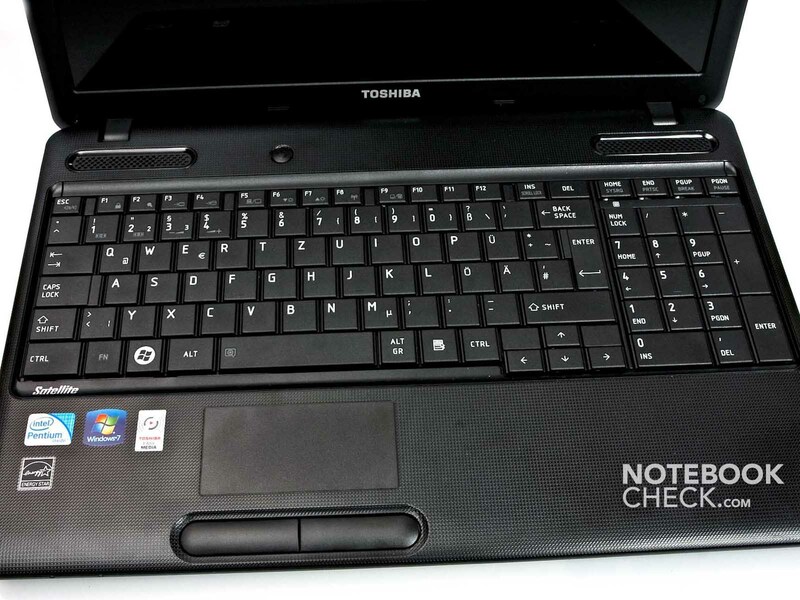 The Toshiba Satellite C660-10E is aimed at laptop novices who want to first discover the market and thus would like to buy an affordable all round notebook to start with. 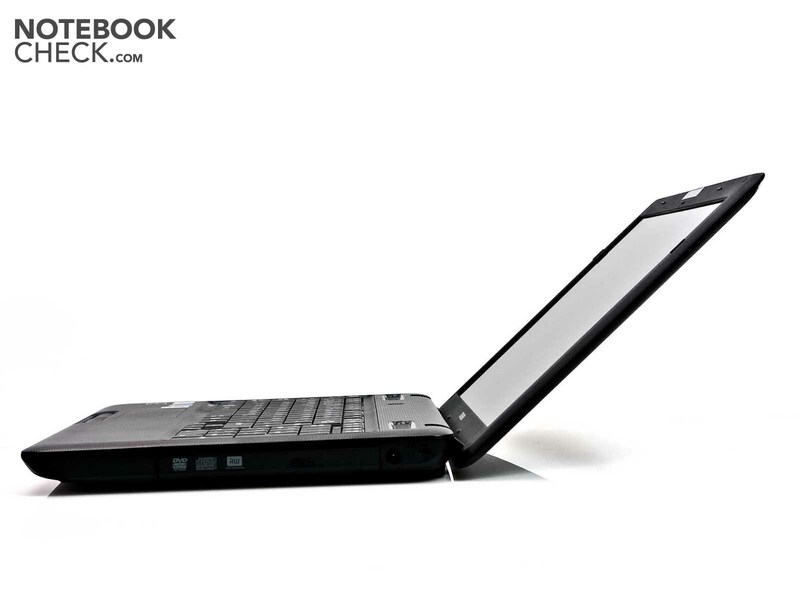 The Toshiba Satellite C660-10E is a low priced entry level notebook. 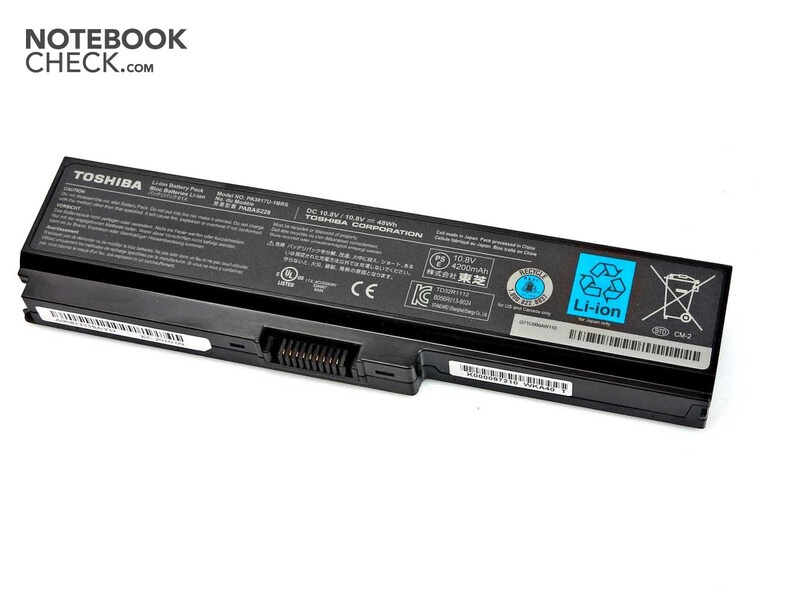 The Toshiba Satellite C660-10E's battery. The optical drive can be very easily replaced. The webcam above the display. …and even a number pad. In return, the clattery mouse keys were disagreeable. The display's maximum opening angle is good. A close up of the surface texture. 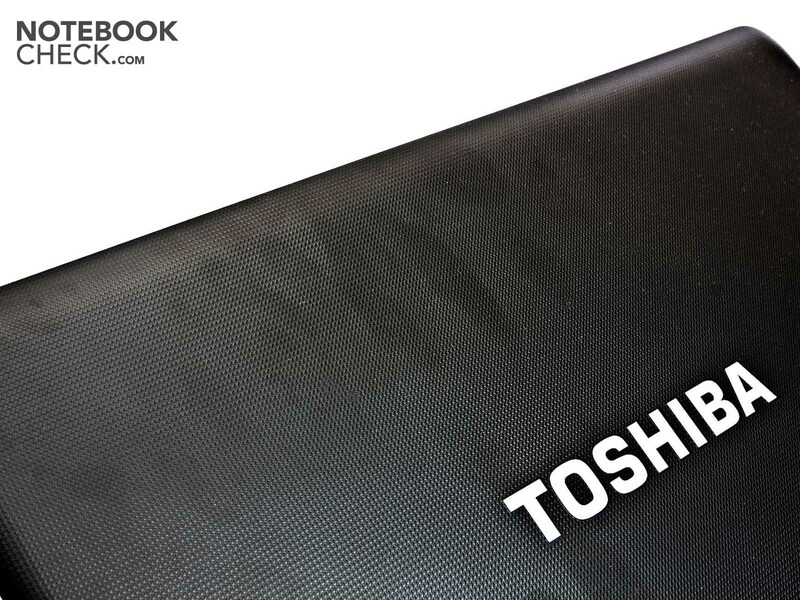 Toshiba uses a surface texture that is supposed to deter fingerprints – but it's not completely successful. The black design has basic and yet good looks. 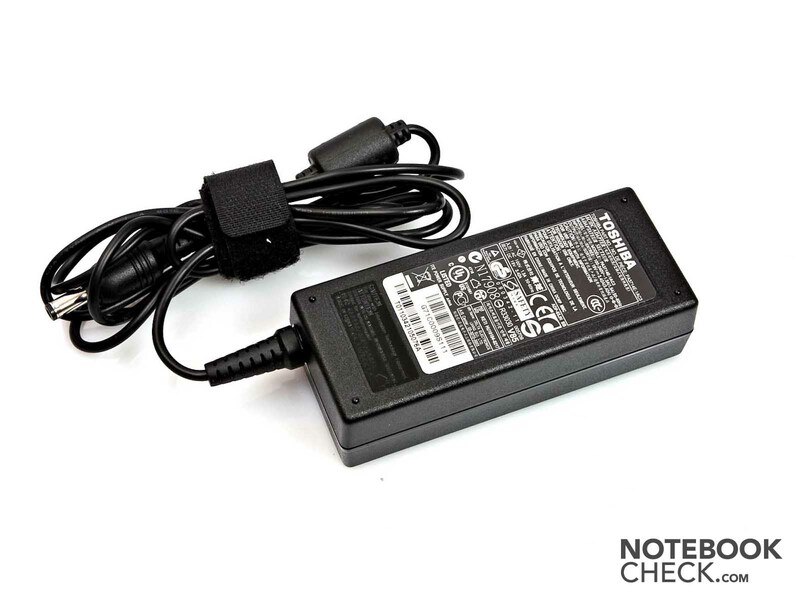 The Toshiba Satellite C660-10E's adapter is small and light. The Satellite C660-10E supplies a good keyboard in a solid case for little money. The notebook's interfaces have definitely been cutback majorly. The performance has also been extremely economized. The notebook's actually very good keyboard. 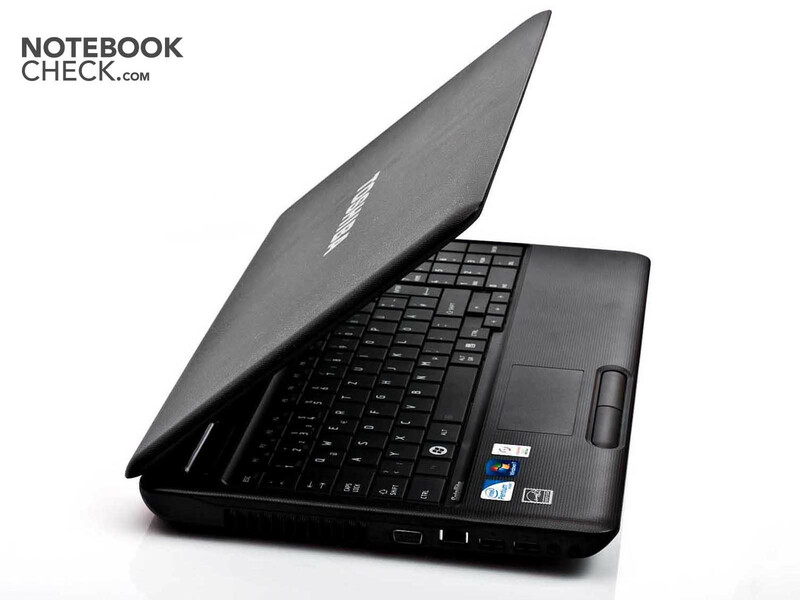 A comparable notebook at an equally low price is found in Acer's array. 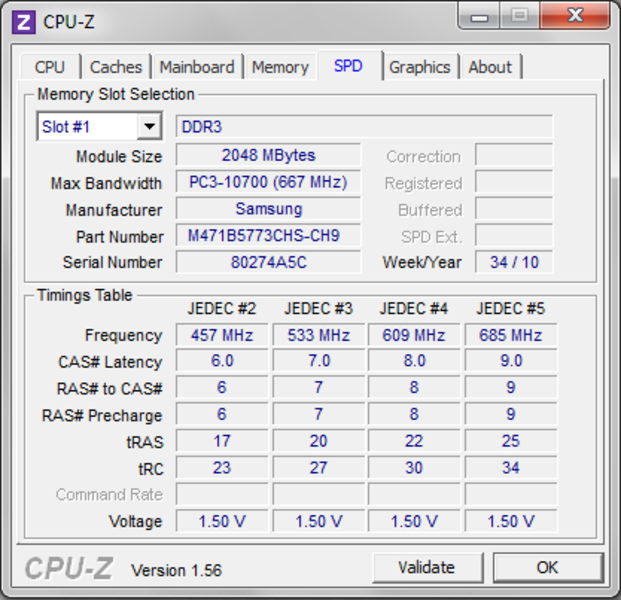 The TravelMate 5740Z notebook however has a somewhat inferior processor. In return, it has more interfaces.